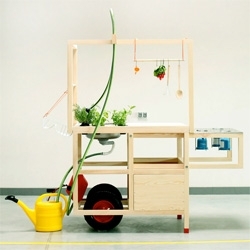 Charma Rosinke's project mobile hospitality (Mobile Gastfreundschaft) consists of a mobile wheelbarrow kitchen, table and ten folding stools moved from place to place allowing people to sit and eat in public space. 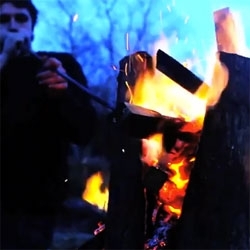 VIDEOThe making of Kaspar Hamacher's burnt wood stools. 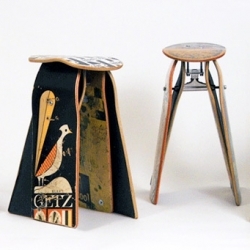 Renaud Dancie, a french creator is hand-making these classy stools and other home decors with reclaimed wood from the french “Landes” forest. 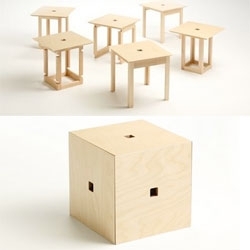 Back Up Japan, topographic stools and table by Soichiro Kanbayashi. 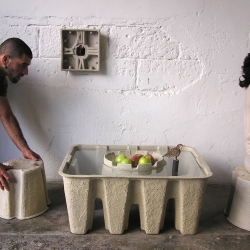 FEATUREDDark matter, slime molds and stools created with the help of magnetic fields are all a part of this week’s roundup from NOTCOT.org. 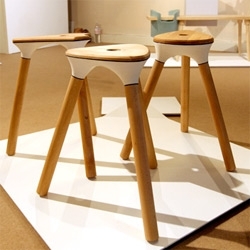 Four simple wooden elements and a cotton cord give rise to two different stools, that can be assembled in many different ways, able to create each time a new object. 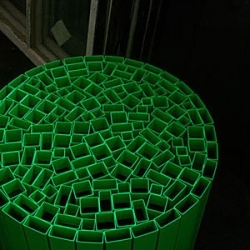 A project by Studio Blitzkrieg. 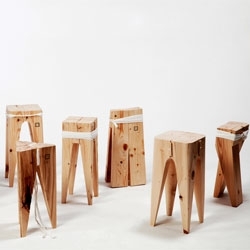 Forest stools by Arik Levy of Bernhardt design. 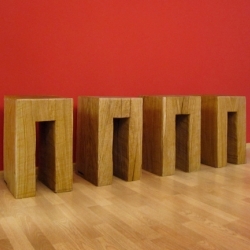 "Party Set" by Verpan of Denmark consists of five space saving /stackable stools in moulded wood. 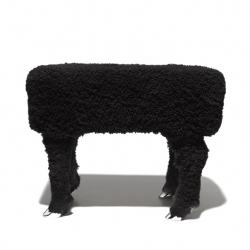 Part of an expanded collection by Verner Panton introducing new pieces of furniture and rugs. 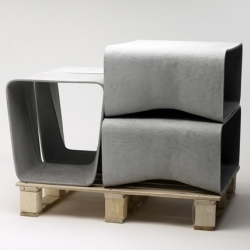 Take a look at these great 'Aina' nesting tables which Finnish designer Elisa Honkanen has developed in collaboration with the Sinagpore-based Foundry, and Outofstock Design. 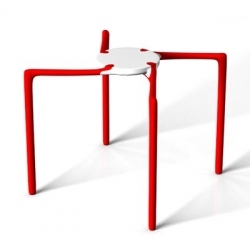 FEATUREDPentagon system, a series of tables and stools by Itamar Burstein. 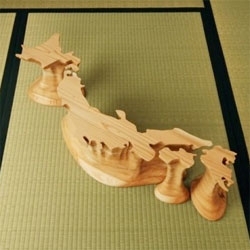 The pieces are constructed from five identical parts that have the shape of an upside down U! Beautiful details. 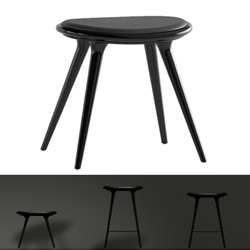 new from skram, the piedmont #2 stools. 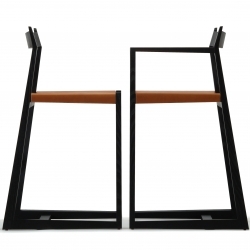 featuring saddle leather sling seats in black, tan or chestnut and a variety timber options. 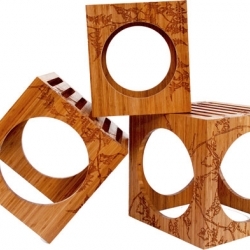 designed by a. jacob marks for n.c. based skram. 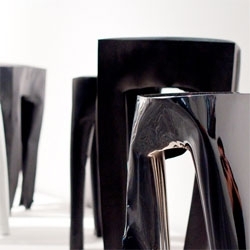 Glenn and Justin Lamont from LifeSpaceJourney, have designed a set of milking stools and matching table with shaped spun metal tops. 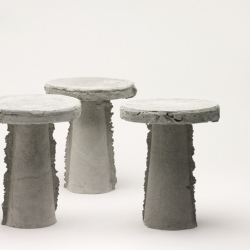 Slip stools, concrete stools by french designer Nicolas le Moigne. 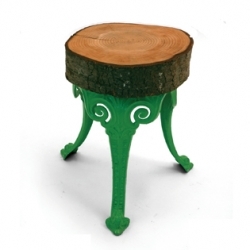 Nic Zöller from Germany creates these gorgeous massive oakwood stools, Hockstool, with his chainsaw. 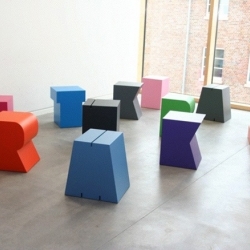 From A-Z by german Sascha Grewe and his label artcanbreakyourheart are typographic stools made of plastics. 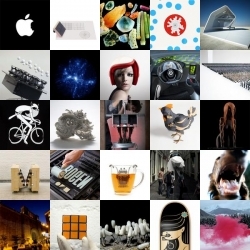 All letters are available in 147 different ultraflat colours. 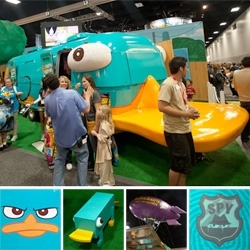 A smaller kids version is available as well. 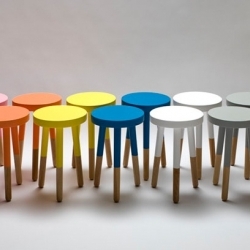 Rui Alves developed this series of colourful stools that can be combined with each other to creative furnitures. 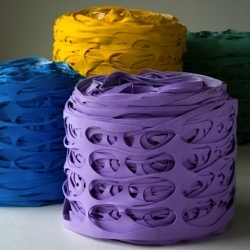 It looks like a bunch of wild animals interacting with each other and you don't need to be a kid to love the bright look. 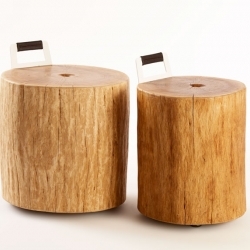 Reminiscent of snow-covered stumps, wood for these stools were harvested from a fallen maple tree. 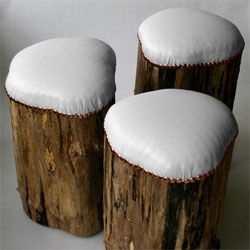 White leather upholstery and copper tacks over organic latex foam. 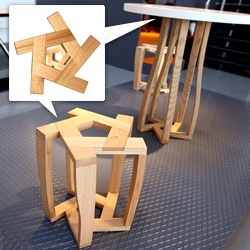 Small, nearly-invisible feet 'levitate' them ever off the ground. 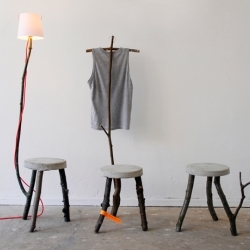 Made of concrete and branches, the new collection of german Samuel Treindl is a nice mix of sustainable material and urban textures. 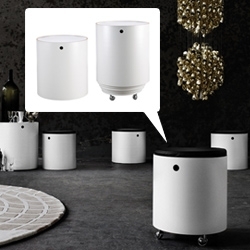 Lamps, stools, chairs, coatracks and much more are reduced and mixed. 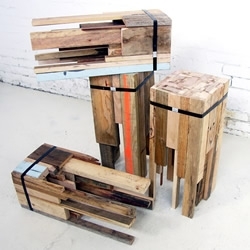 FEATUREDFresh From The Mint ~ Lovely work of Nico Reinhardt: Stooltypes_01-04 ~ its such a fun mix of materials! 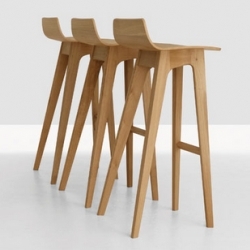 These bar stools were constructed to fill the seating void of my kitchen island. 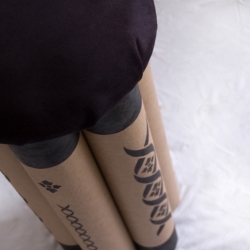 The stools are composed of stenciled paper tubes complete with a cushion seat. 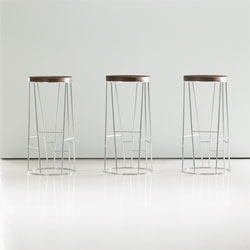 Morph bar stools, designed by Formstelle. 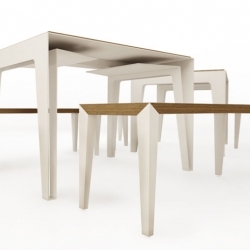 Designed by Bill Hilgendorf, the Metal Stoolen table is made of locally collected scrap material found from making other metal products. 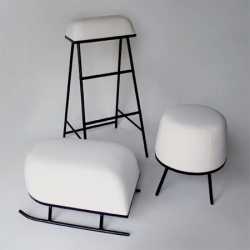 The Winter Arrives Stools by outofstock reminds us of layers of fresh snow on stools left outdoors when we wake up on a winter’s morning... Have a Merry Christmas everyone! 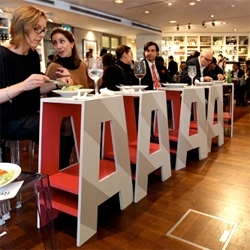 Oscar Narud presented a collection of wooden stools and tables. 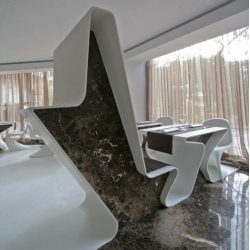 The construction of the pieces is inspired by the drop down keel used for smaller sailing boats. 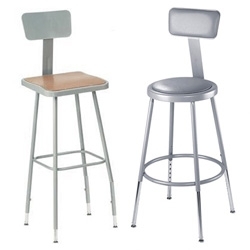 Science Lab Stools! 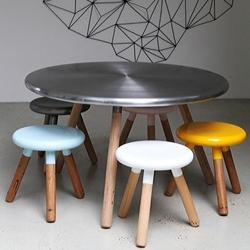 I think these would look pretty awesome in so many other places... and adjustable height and totally affordable too! 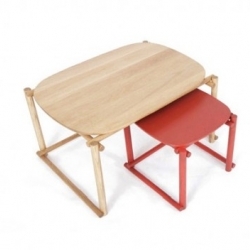 The bench is made from a single solid plank of oak wood. 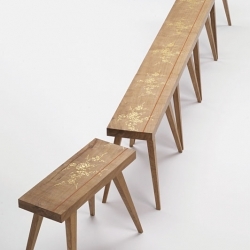 The plank is initially decorated with gold leaves then cut and turned into five stools. 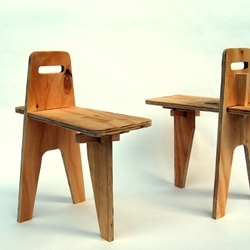 By placing the stools in the right order, it is possible to recreate the original plank of wood. 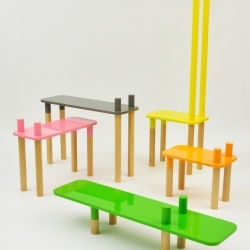 By Ditte Hammerstrøm. 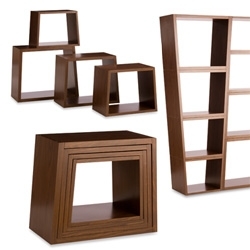 FEATUREDDror for Target ~ best piece in the new collection are these nesting/stacking bookshelves ~ maybe they even work as stools too? 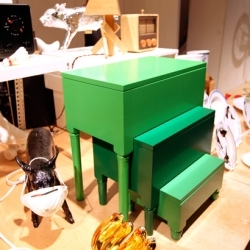 One of my favourite stools, obviously stackable, inspired in Japan..
from 2005 but super cute by And Made - Lost & Found Stools! 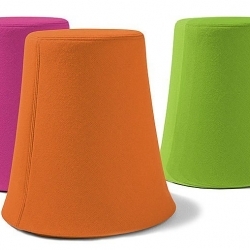 On the subject of library stools: Buzzispace makes felt out of recycled PET bottles, and uses it for screens and other objects, including these colourful covers for library and office stools. 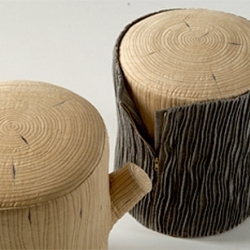 The Tree Stools recall the communal atmosphere of sitting around the campfire, but are built for the most elegant silk-upholstered living room. 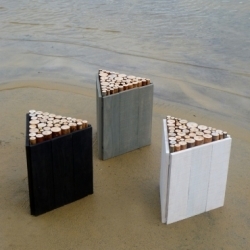 Estonian Woodoo (brothers Ken and Jan Graps) have designed some pretty cool stools from the stumps of Estonian oak.